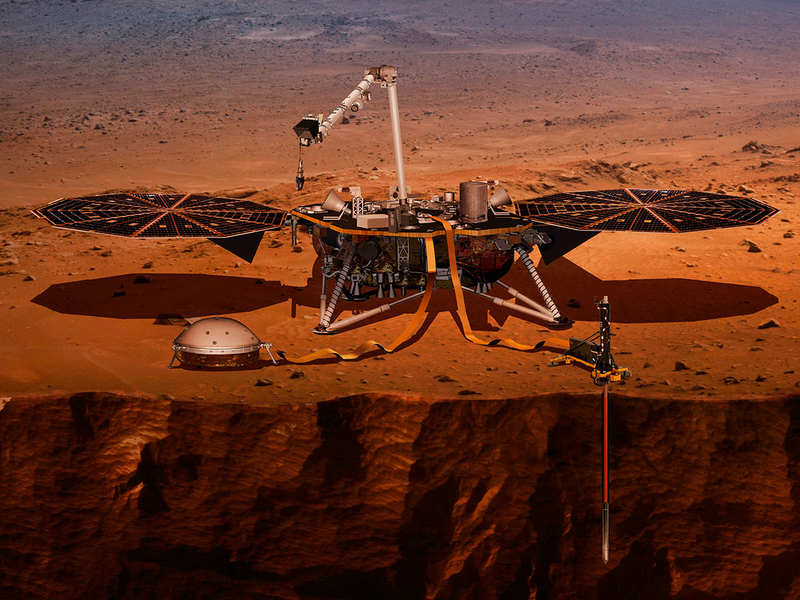 CAPE CANAVERAL, Fla: Mars is about to get its first US visitor in years: a three-legged, one-armed geologist to dig deep and listen for quakes. That’s where old school ends on this $1 billion (Dh3.67 billion) US-European effort. One experiment will attempt to penetrate 16 feet (5 meters) into Mars, using a self-hammering nail with heat sensors to gauge the planet’s internal temperature. That would shatter the out-of-this-world depth record of 8 feet (2 = meters) drilled by the Apollo moonwalkers nearly a half-century ago for lunar heat measurements. By scoping out the insides of Mars, scientists could learn how our neighbour — and other rocky worlds, including the Earth and moon — formed and transformed over billions of years. Mars is much less geologically active than Earth, and so its interior is closer to being in its original state — a tantalising time capsule. InSight stands to “revolutionise the way we think about the inside of the planet,” said NASA’s science mission chief, Thomas Zurbuchen. Earth’s success rate at Mars is a mere 40 per cent. That includes planetary fly-bys dating back to the early 1960s, as well as orbiters and landers. While it’s had its share of flops, the US has by far the best track record. 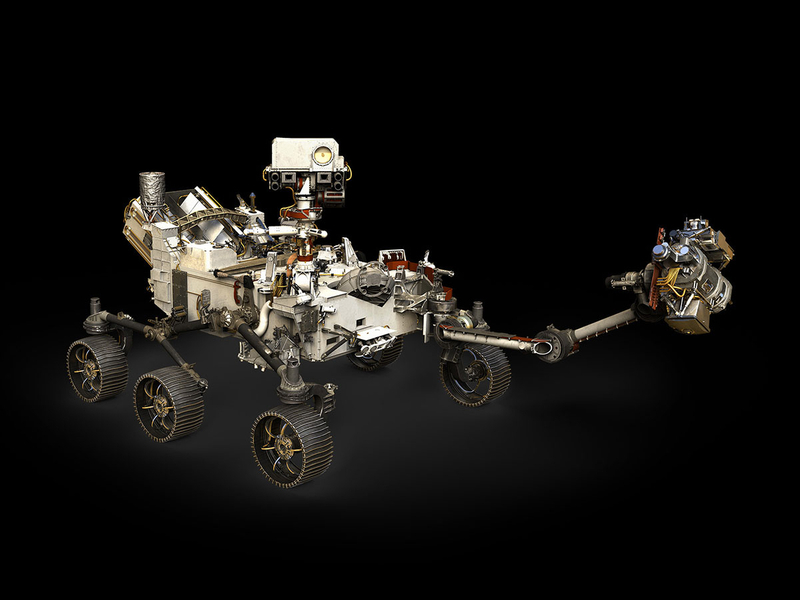 No one else has managed to land and operate a spacecraft on Mars. 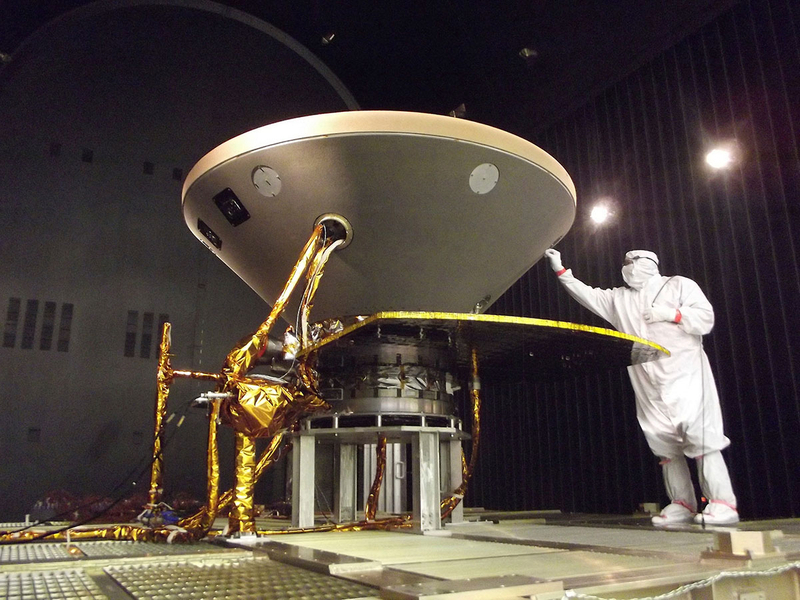 Two years ago, a European lander came in so fast, its descent system askew, that it carved out a crater on impact. 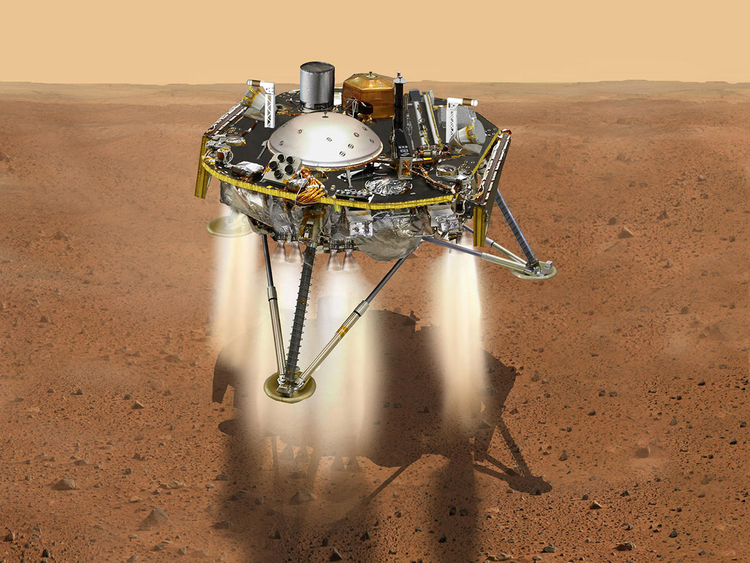 InSight will enter Mars’ atmosphere at a supersonic 12,300mp/h (19,800km/h), relying on its white nylon parachute and a series of engine firings to slow down enough for a soft upright landing on Mars’ Elysium Planitia, a sizeable equatorial plain. 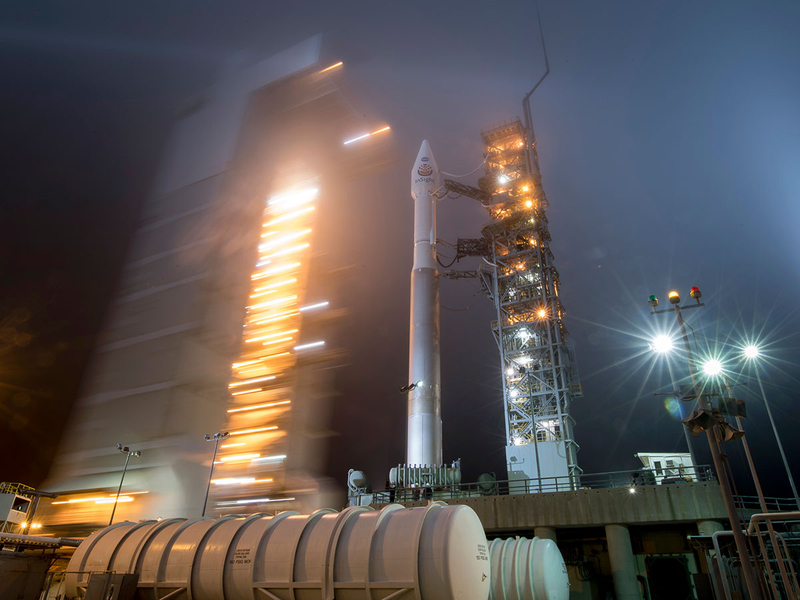 If Nasa gets lucky, a pair of briefcase-size satellites trailing InSight since their joint May lift-off could provide near-live updates during the lander’s descent. There’s an eight-minute lag in communications between Earth and Mars.